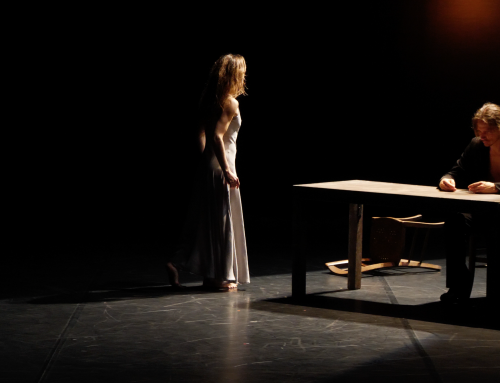 Virginie Brunelle is a Canadian Choreographer whose works are spiced with natural, intimate, crude emotions. In to the pain that lingers six dancers, looking dejected, lost and despairing seem to find themselves in a group without clarity nor an aim. Following the dynamics of the others they then develop their own personalities and truths giving voice to intriguing interactions and clearer intentions. 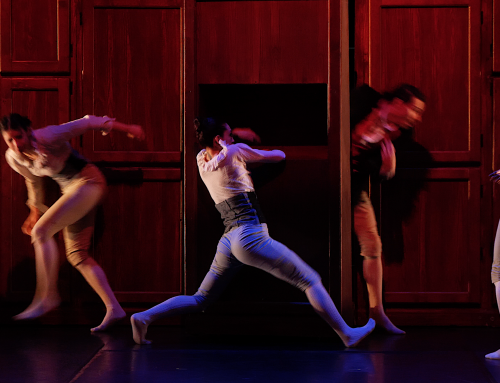 Fear, pain, desolation, sorrow, regret – familiar aspects to the human kind – become the storyline of this piece where love, passion, emotions find their ways to explode. Fragility and vulnerability are interwoven with intimacy and tenderness, strength embraces weakness and jealousy merges with desire. Plastic and delicate figures amalgamate with stoic bodies unifying the intentions sometimes through powerful, fierce jumps others with fine delicacy. 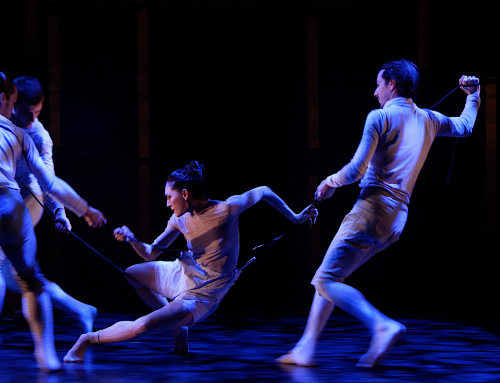 The intensely running piece is embraced by moments of silence and memorable finest lyrics with whom the dancers release pathos, poignant and affecting.